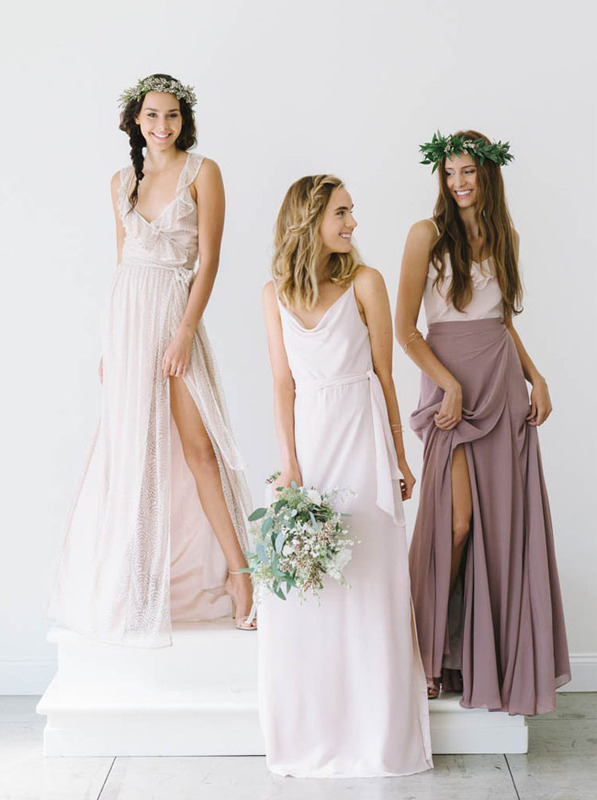 Long known as a top resource for the perfect bridesmaid dresses for your girls, we’re excited that today Joanna August is going to share with us her tips + tricks on getting the mismatched bridal party look right! 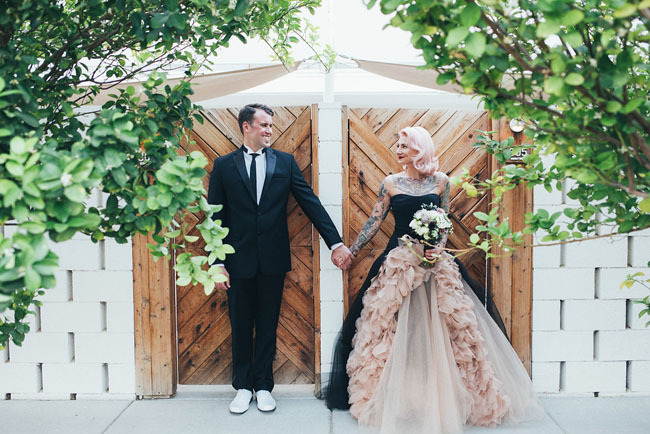 Joanna says, We love to mix and match colors and styles to help each bride create a completely original and unique bridal party. But sometimes all of the options can be overwhelming. We are often asked: can we mix colors AND styles? How do we choose what colors look best together? How do we pull this technique off? So, we wanted to share some of our favorite tips showcasing the seasons hottest and most persistent trend – pastels! Totally feeling what she’s saying, right? 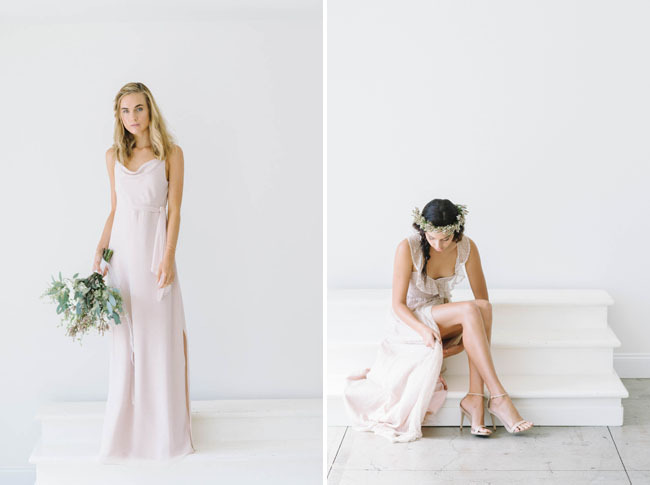 Below, we’re diving deeper into 4 key bridesmaid dress trends (and how to nail them!) and suggesting our favorites from Joanna August that fit the bill! Texture: Adding a texture into your palette, such as lace, is also a great way to add variation. We love our champagne lace on a maid of honor OR, for a larger bridal party, a couple of lace items added into a neutral palette (think 1 lace dress and a lace skirt with a chiffon top mixed into a palette with long chiffon dresses). Separates: At Joanna August, we LOVE separates! 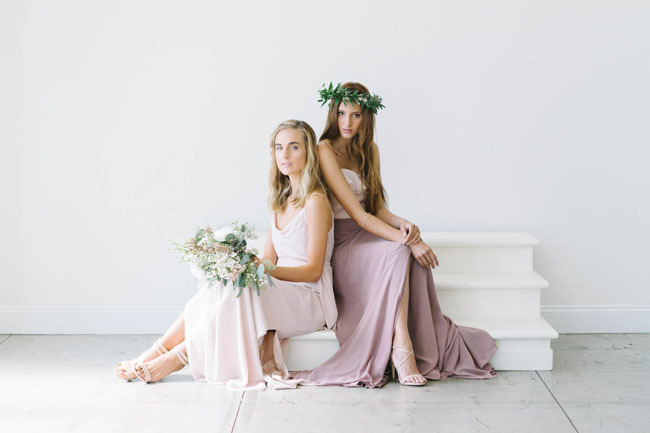 We think bridesmaids looks utilizing tops and skirts not only feel fresh and current, but are also a great way to tie together a color palette or to help a maid of honor stand out. Match the top to one of the colors you are using for your maids but choose a skirt that is a slightly different shade. OR go for a white or ivory top to make a maid of honor stand out while choosing a skirt the same shade as the dresses. Or, if you feel completely playful and irreverent, have all the maids wear a top the same color and choose all different skirts. 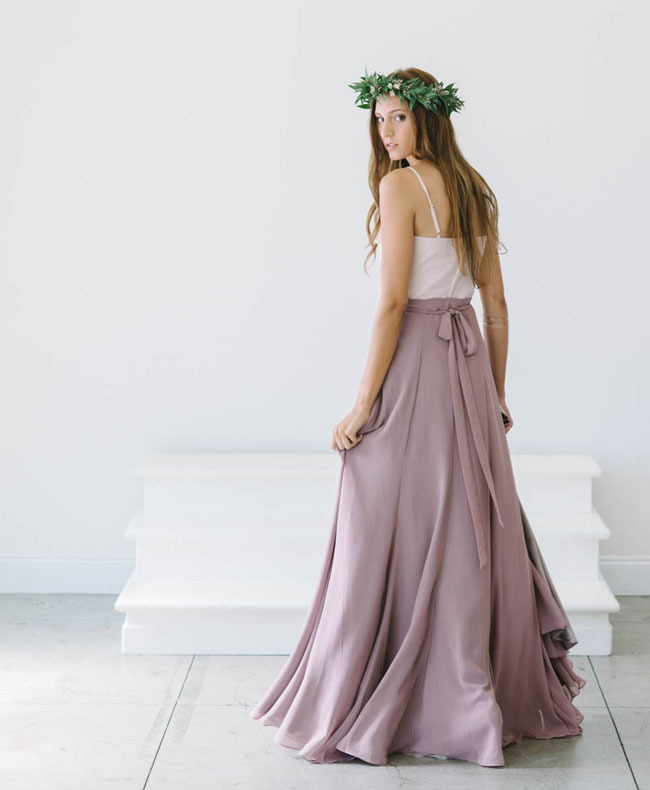 On the other end of the spectrum, a separates look with a one tone top and skirt can still help add variation to a bridal party – the matching top and skirt feel cohesive but can break up any monotony created by dress after dress. Theme: When creating a palette, choose a unifying theme. You should be able to describe your palette in one word: “Blues”, “Neutrals”, “Pastels”, “Sherbet”. If you can get all of your colors to work within a one word theme, you are usually on the right track! Thank you so much to Joanna August for sharing these tips with us today! 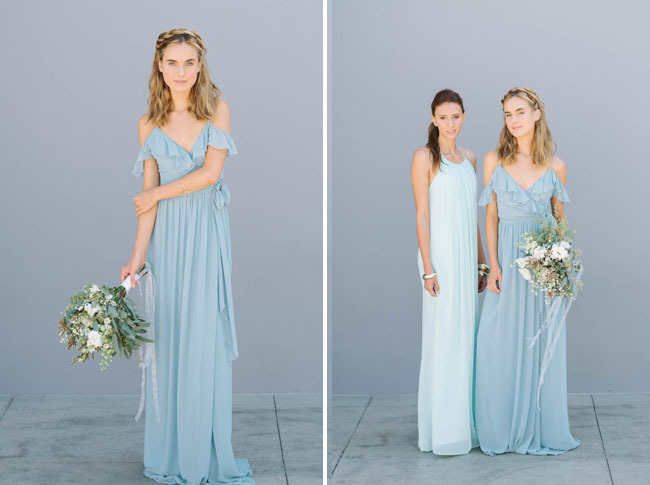 Ladies, tell us: are you suggesting your bridesmaids wear mismatched dresses for the big day? Which trend – or trends! – were your favorite? A certain theme? A lot of texture? Separates? Or ‘maids in ivory? We love each trend + don’t think you can go wrong! * This post is sponsored by Joanna August. Thanks for supporting our sponsors! Love these! I will definitely check them out for my wedding! Stunning! I love the lavender color!! Hi Caitlin! I would suggest a private pinboard with pictures or sending color swatches :) Hope that helps!! Love love love the mismatched look! obsessed with the braided pigtails look!! So pretty! Love the idea of separates – never seen that before! !